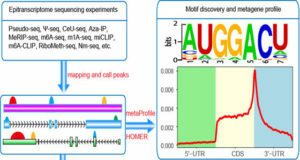 Researchers at the National Yang-Ming University, Taiwan previously presented DriverDB, a database that incorporates ∼6000 cases of exome-seq data, in addition to annotation databases and published bioinformatics algorithms dedicated to driver gene/mutation identification. 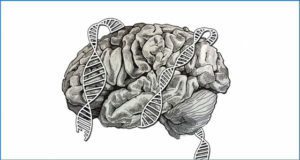 The database provides two points of view, ‘Cancer’ and ‘Gene’, to help researchers visualize the relationships between cancers and driver genes/mutations. 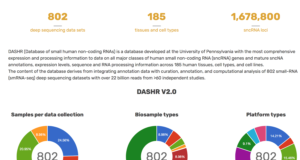 In the updated DriverDBv2 database () presented herein, the researchers have incorporated >9500 cancer-related RNA-Seq datasets and >7000 more exome-seq datasets from The Cancer Genome Atlas (TCGA), International Cancer Genome Consortium (ICGC), and published papers. 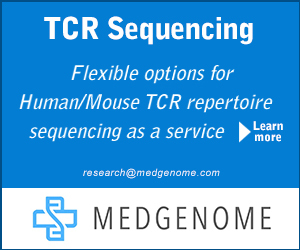 Seven additional computational algorithms (meaning that the updated database contains 15 in total), which were developed for driver gene identification, are incorporated into our analysis pipeline, and the results are provided in the ‘Cancer’ section. Furthermore, there are two main new features, ‘Expression’ and ‘Hotspot’, in the ‘Gene’ section. ‘Expression’ displays two expression profiles of a gene in terms of sample types and mutation types, respectively. 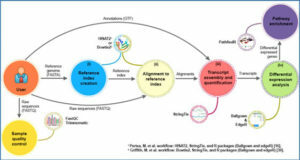 ‘Hotspot’ indicates the hotspot mutation regions of a gene according to the results provided by four bioinformatics tools. 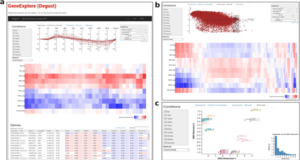 A new function, ‘Gene Set’, allows users to investigate the relationships among mutations, expression levels and clinical data for a set of genes, a specific dataset and clinical features. 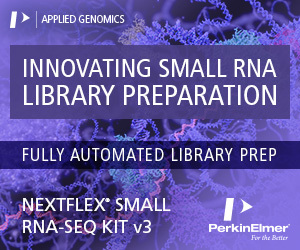 The three new features in the ‘Gene’ section. (A) The ‘Summary’ panel. 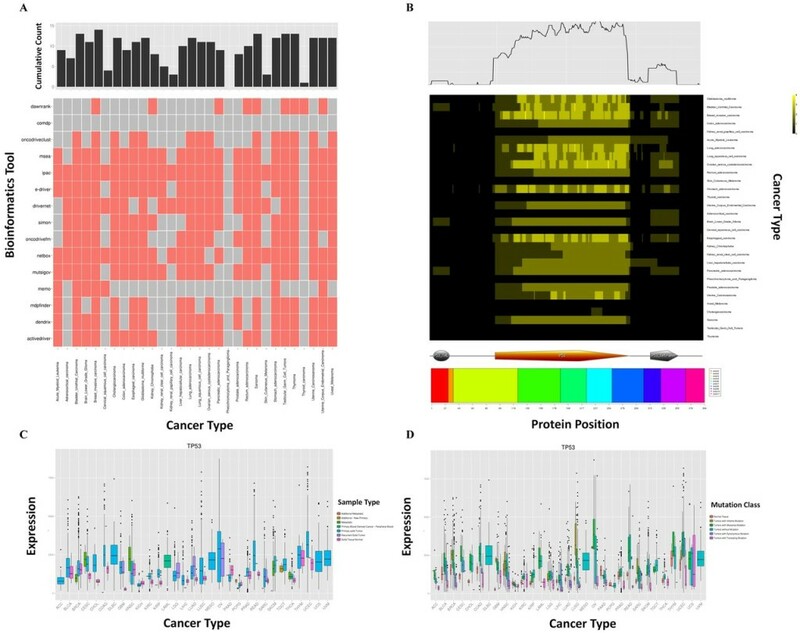 A heat map shows which bioinformatics tool identifies the gene as a driver gene in which cancer type. 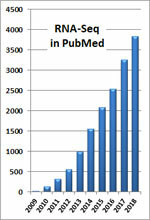 The upper panel shows the cumulative counts of bioinformatics tools. (B) The ‘Hotspot’ panel. 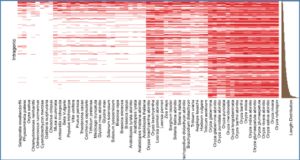 A heat map shows the regions of the protein identified as HMRs across different cancer types. The color used for a given region indicates the number of tools that identify that region as an HMR. The upper panel shows the cumulative counts of the regions identified as HRMs. Exon and domain information with protein coordinates are provided at the bottom of the heat map. (C and D) The ‘Expression’ panel. The expression boxplots of the gene across cancer types by sample type (C) and by mutation class (D). The colors in (C) and (D) indicate the sample types and mutation classes, respectively.